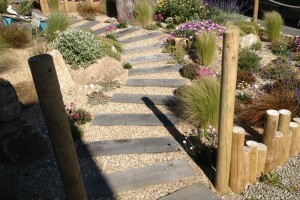 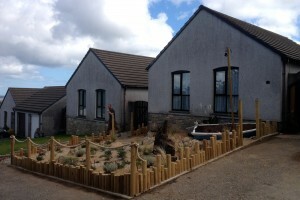 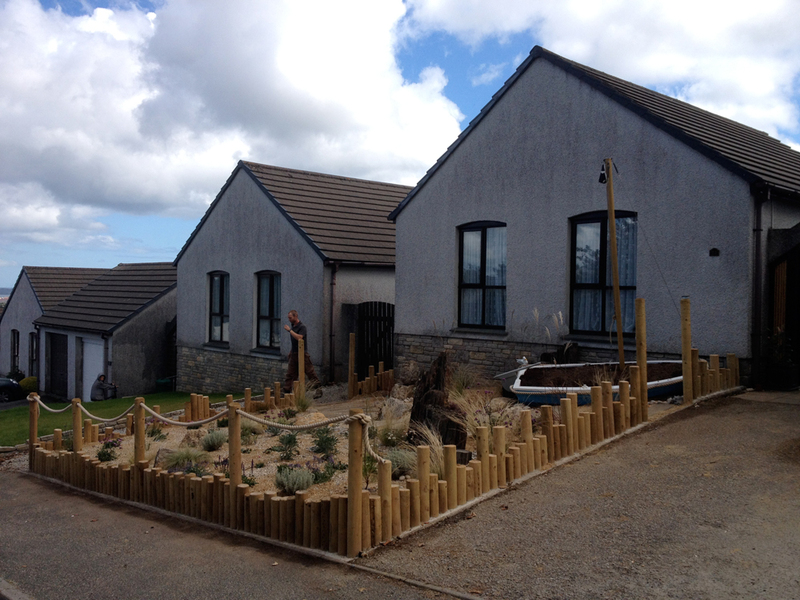 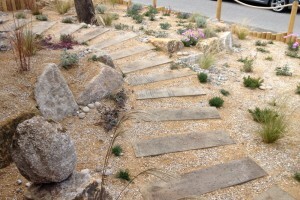 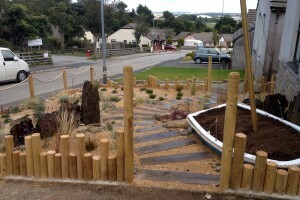 This was really a ‘show garden’ commission in a front garden in Mabe. 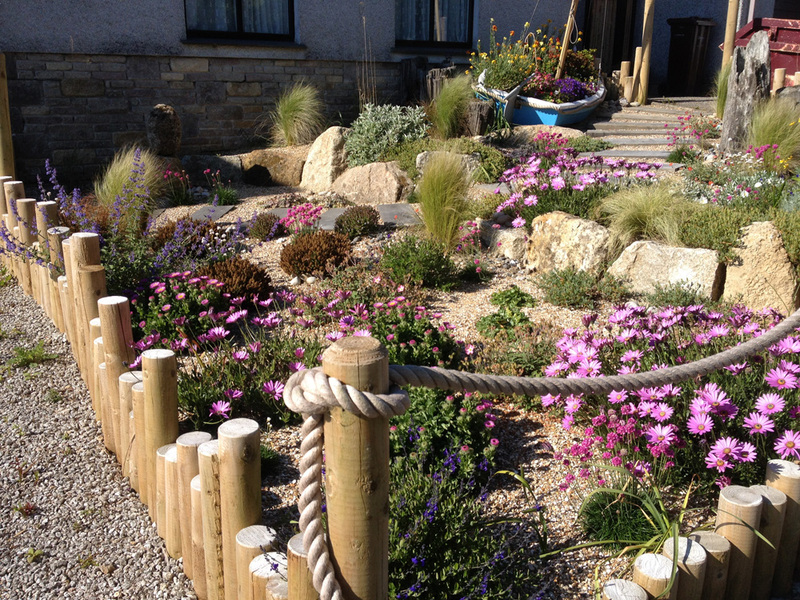 Our very loyal and trusting clients gave us free artistic license to design and create this fun, themed and sometimes tongue in cheek coastal garden. 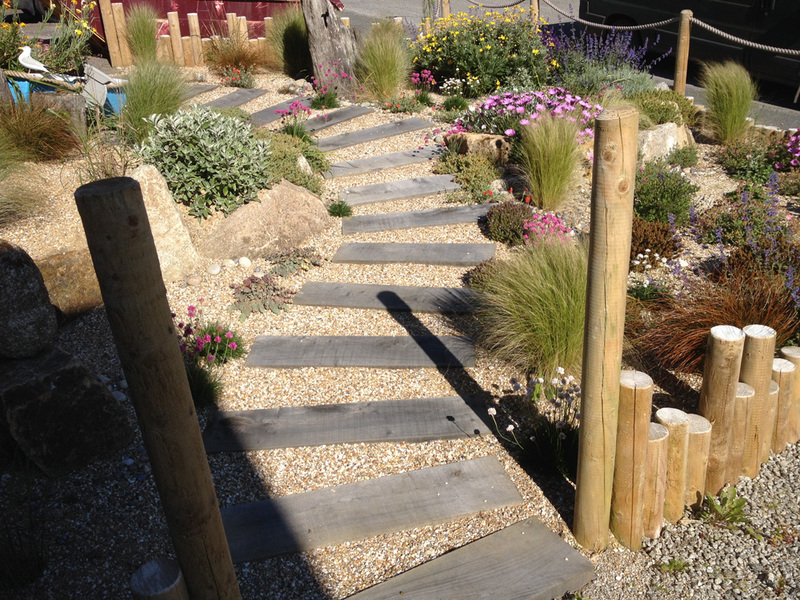 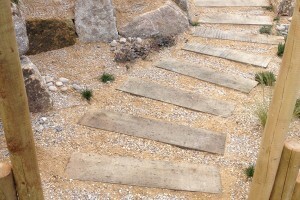 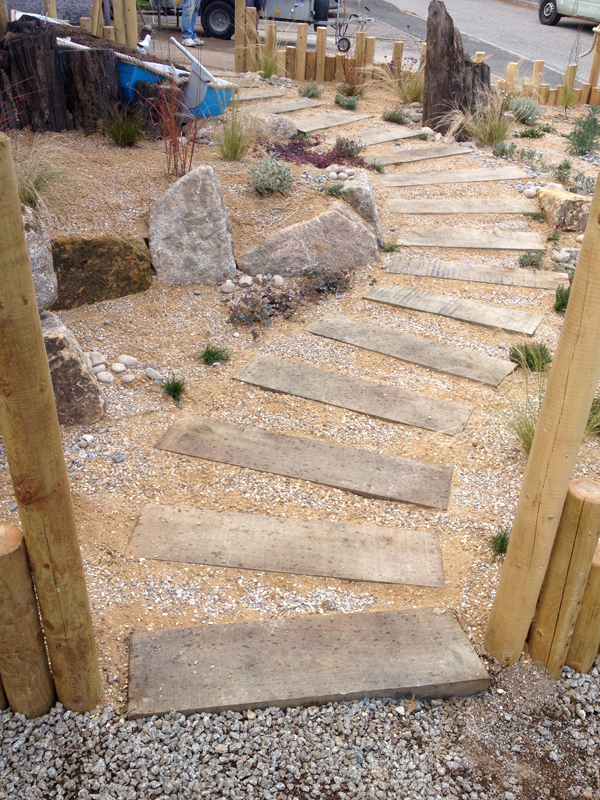 Ancient reclaimed Falmouth dock piles were used along side new treated timber to divide and contain the space while milled green chestnut sleepers make a meandering path. 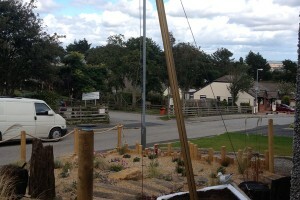 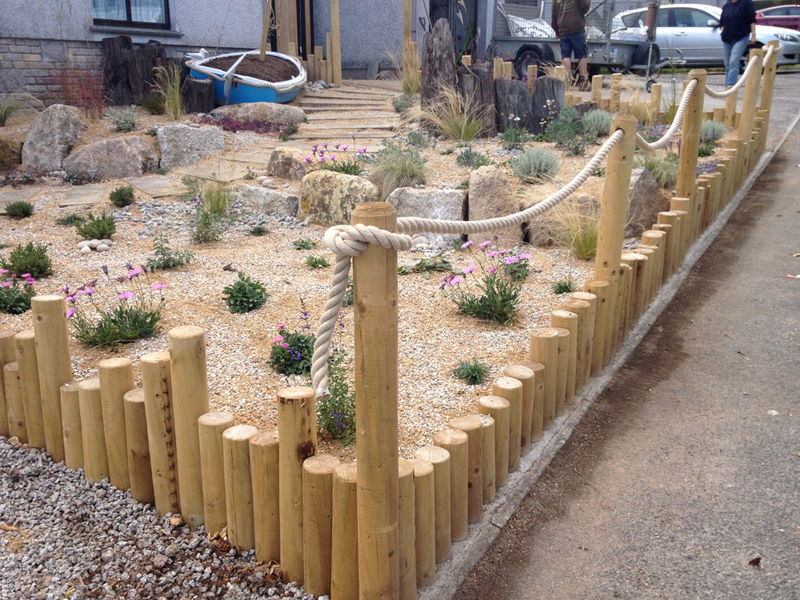 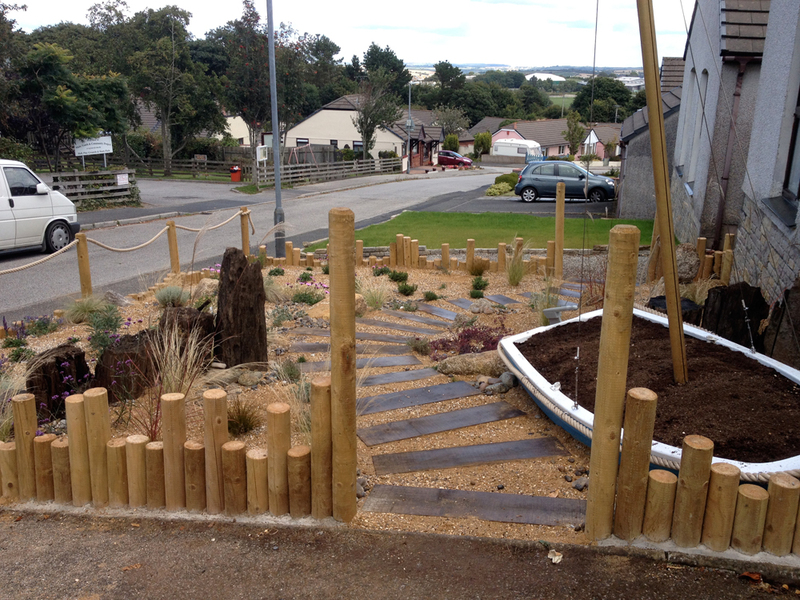 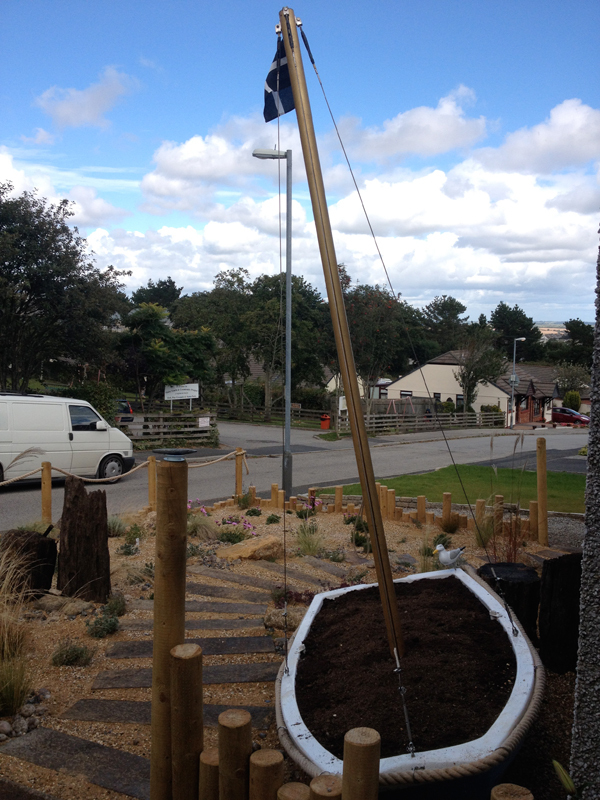 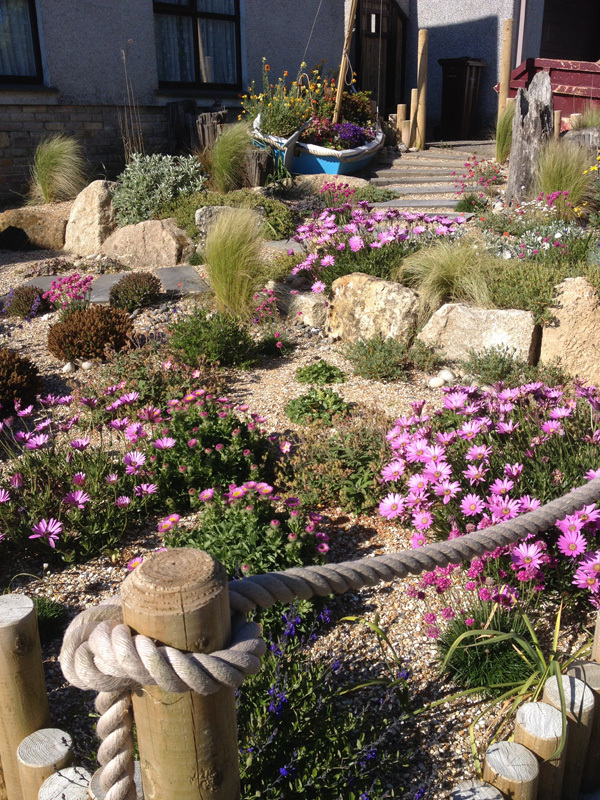 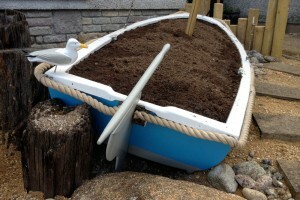 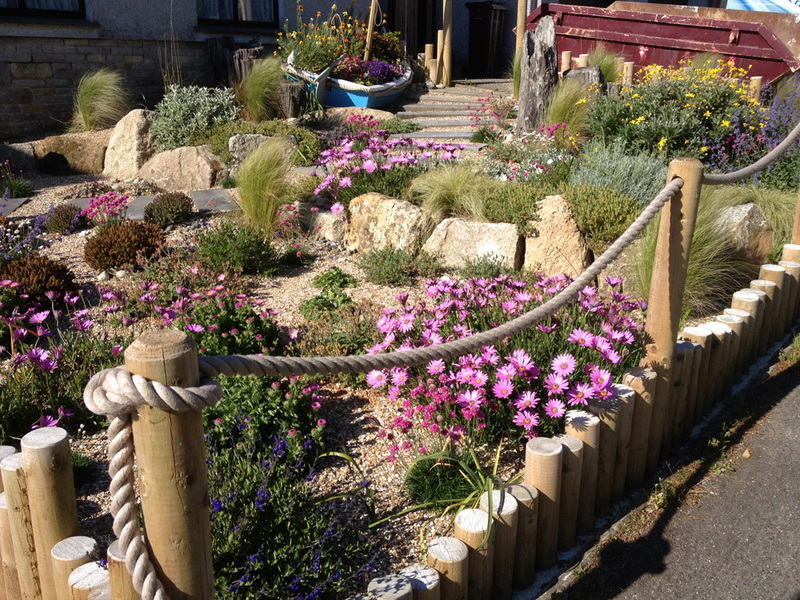 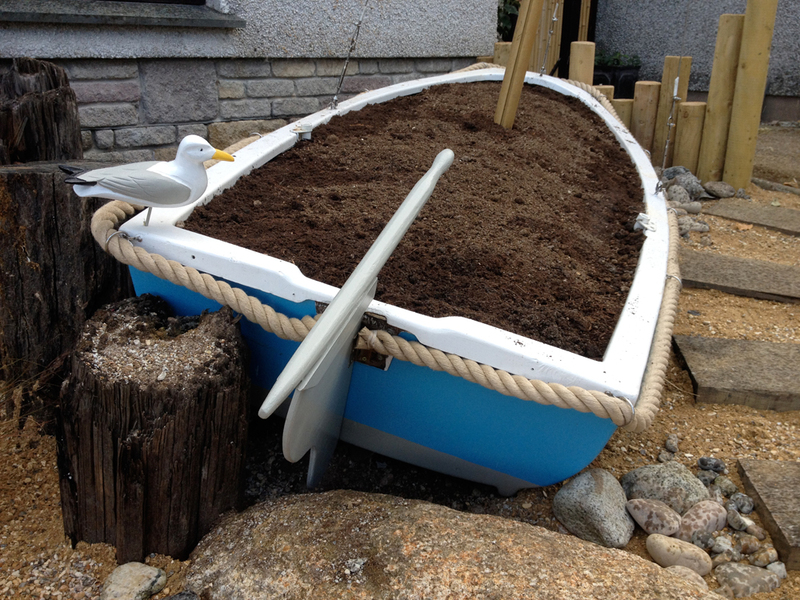 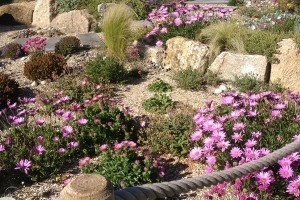 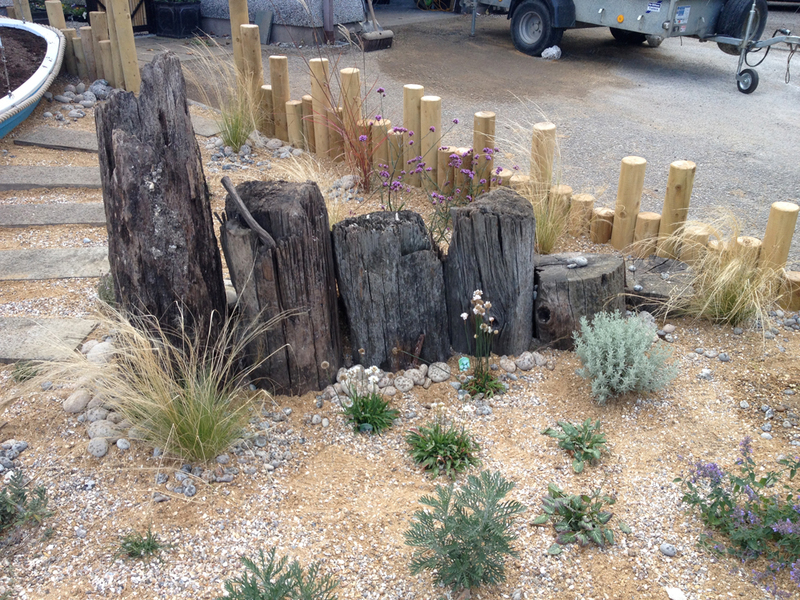 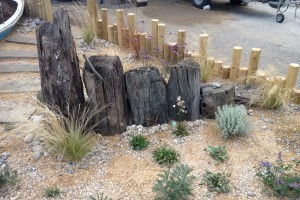 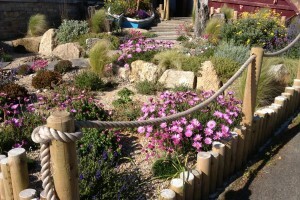 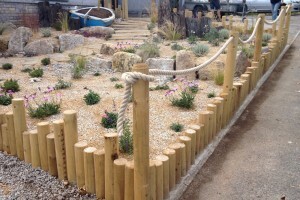 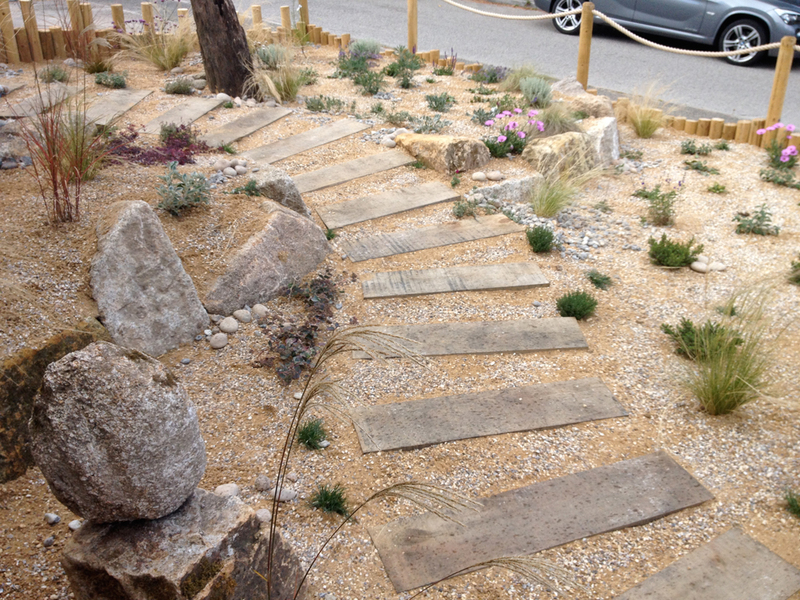 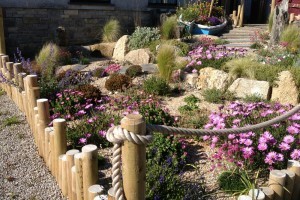 Local granite boulders retain the levels of wistful wind tolerant planting and a full rigged dingy completes the look!